Rick was born in Houston, Texas, living there throughout his youth. 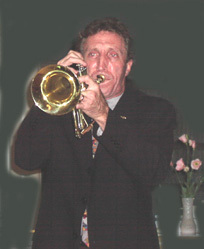 His professional playing career started at the age of 15, when he was a featured member of the John Williams Brass Quintet. At the age of 17 he was also a principle sub-player for the Houston Civic Symphony, performing during the summer season. From 1977-1980 Rick lived in Shreveport, Louisiana, where he was a regular member of the Shreveport Symphony. During this time he also played extensively in circus, rodeo, ice capades, and society bands. Rick has been living in Asia since 1981, and in Tokyo since 1988. As a band leader/jazz soloist, he has performed at various events and clubs in Tokyo including Shinjuku "Pit Inn", "J", "DUG", Akasaka "BFlat", Ueno "GH-9", Roppongi "Sweet Basil", "Alfie", "Satin Doll", "Tatou", "Valentine", "Pit Inn", "Relaxin", "Terrys", "Mr. James", Kichijoji "Sometime", Shimbashi "Someday", Ginza "Canadian Wind", Jiyugaoka "Corner Pocket", Asagaya "Manhattan", Tachikawa "Jesse James", Shibuya "Elephant Bar", Yokohama "BarBarBar", "Dolphy", and others. Rick has performed with CHICAGO, Steve Smith (Journey & Steps Ahead), Bobby Caldwell, Jon Faddis, Dennis Bradford (Jeff Lorber Fusion), Bobby Shew, Doc Severinson, Ed Shaunessy, B.J. Thomas, Mexican Guitarist/Harpist Jesus Oloarte Garcia (better known as "Chucho de Mexico"), and Australian trumpeter James Morrison. He has appeared on Japanese TV programs "Hey! Hey! Hey!" and "Music Fair" with Ricky Martin (Livin La Vida Loca, Cup of Life) and Matt Bianco (Boogie Mi Vista). He has also performed with many popular Japanese artists including #1 Male Pop-Vocalist Ken Hirai (Music Fair, Hey! Hey! Hey!, MTV Awards, Pop Jam, Utaban, AXTV, CDTV, Music Station), Nanase Aikawa, Sachiko Kobayashi, Manabu Watanabe, Kimiko Itoh, Keiko Nakajima, Marlene, Jerry Itoh. He has played lead/jazz for the USAF Glenn Miller Big Band, Kenichi Tsunoda Big Band, NHK TV "Tokimeki Yumei Sounds" program, and also plays with the Blue Coats Orchestra, Swing Times Orchestra, Big Band Express, Hittin 11, Yoshihiko Katori, Hideo Kawaguchi, and Eric Miyashiro Big Bands. He travels throughout Japan regularly, performing at many expositions, festivals, weddings, auditoriums, Tokyo Dome, Tokyo Disneyland, the Nippon Budokan, etc... He has also toured and performed in Singapore, Philippines, Korea, Burma, and Australia. Rick speaks, reads, and writes Japanese and can also communicate in German and Philippine languages. Rick presently concentrates on jazz playing, but is equally comfortable in other idioms such as bossa nova, samba, funk, soul, latin/salsa, dixieland, pop, top 40, rock, fusion, and classical. 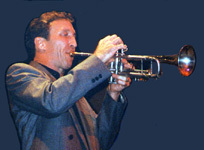 His musical concept is a blend of American West and East Coast jazz styles. His main influences have been Freddie Hubbard, Clifford Brown, Chet Baker, Bobby Shew, Art Pepper, Wynton Marsalis, Doc Severinson, and Maynard Ferguson. Rick currently plays a gold Monette "STC" Bb trumpet, a Yamaha "6310Z" (Bobby Shew model) trumpet, a silver Bach Bb trumpet, and a Yamaha "635T" flugelhorn. International School of the Sacred Heart in Hiroo, Tokyo. See Noel Nouveau page for info. Copyright © Include, Ltd . All rights reserved.